For more than 20 years, Mr Zaher Wahab, 34, has kept his 1994 ticket to the Malaysia Cup football final. The little stub is pressed neatly between two plastic sheets which, in turn, are sandwiched between the pages of a book. Finally, to ensure the ticket is protected, the teacher keeps everything in an airtight plastic box. His prized possession, however, will soon have a new home - the SG50 Time Capsule. To be sealed this Friday by Prime Minister Lee Hsien Loong at Gardens by the Bay, it will contain 50 items voted by the public as most representative of Singapore's identity and journey as a nation. Items include old maps of Singapore, old character and citizenship education textbooks and a Singa the Courtesy Lion figurine. It's more meaningful to give this away than to keep it in my drawer. This way, my grandchildren and younger generations get to see how things looked like in the past. This initiative is spearheaded by the SG50 Programme Office, which put out a list of 60 items for the public to vote on. The public could also propose new items. Between Sept 21 and Nov 1 last year, about 45,000 votes were cast through the SG50 website, an interactive exhibition at the National Museum of Singapore and digital selection booths placed in selected locations. The programme office also received more than 300 item suggestions. The top 50 items were chosen based on their popularity. The top four items and item clusters proposed by Singaporeans were "Communications devices over the years", "Items related to our hawker centre food culture", "Singapore Passport" and "SG50 memorabilia". Assistant administrative officer Ng Le Eng, 62, donated her rare blue Singapore Restricted Passport to the capsule. The blue passport was used for travel to Malaysia, but became invalid after Dec 31, 1999, and the red Singapore International Passport became the only valid document for travel out of Singapore. Madam Ng was one of about 360,000 people then who held only the blue passport. She had applied for it at a cost of $7.50 in 1973, thinking there would be a chance for her to travel to Malaysia, but did not get to do so before the passport became obsolete. Parting with it was not a hard decision, says the grandmother of two. "It's more meaningful to give this away than to keep it in my drawer. This way, my grandchildren and younger generations get to see how things looked like in the past." Communications specialist Lisa Marie Tan, 42, had no difficulty donating her Motorola Bravo Pager either. 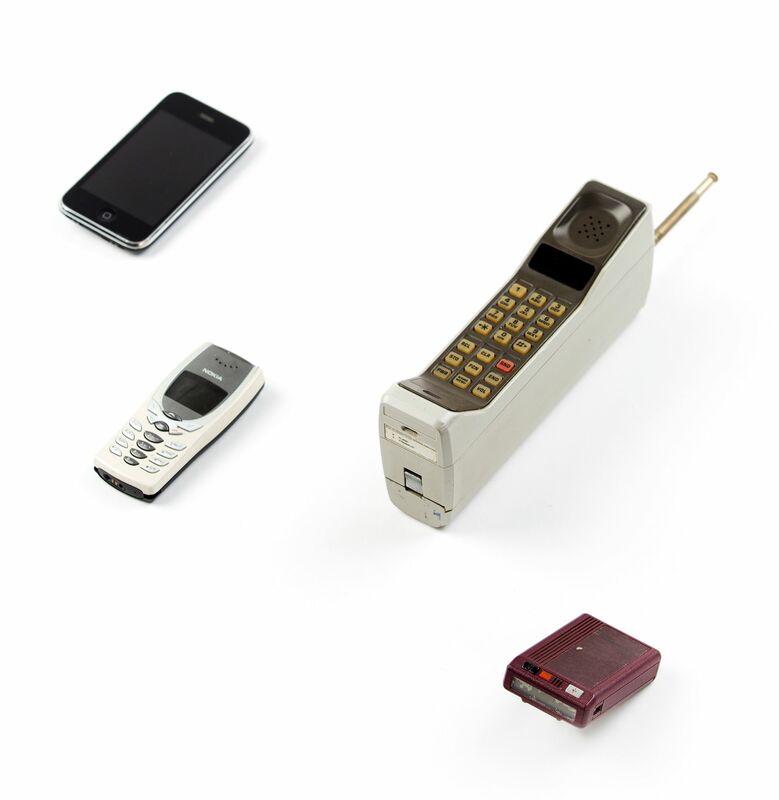 It is featured under "Communications devices over the years". A gift from her then boyfriend in 1996, it was meant to help him get in touch with her and for her to be easily contactable in her job then as a crime reporter with The New Paper. But now, it is "no longer of any use", which is why she donated it. "I did take a picture of it before giving it away, though. In case I never see it again," she says. Mr Zaher also took photographs of the items he donated to the capsule, which will be opened in 2065 - in time for SG100. 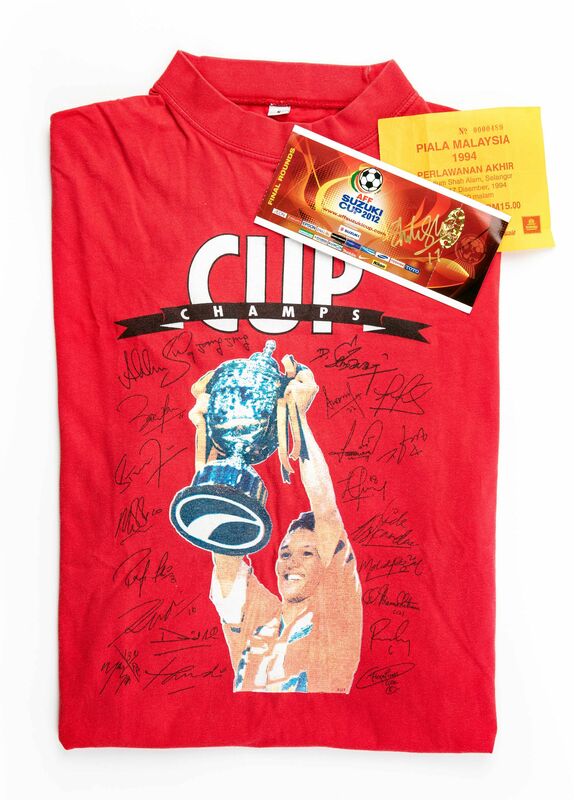 Besides the ticket, he also donated a commemorative T-shirt printed by The New Paper for the 1994 Malaysia Cup match. He has fond memories of that match at the Shah Alam Stadium in Selangor, Malaysia, as it was his first time watching a soccer game overseas. Singapore won the Cup that year, trouncing Pahang 4-0. That was also the year that Singapore last won the Cup. "Because those memories are precious, the items are dear to me," he says. "Hopefully, when the capsule is opened in 2065, we would be back playing in the Cup and we would have won again." The old National Library in Stamford Road was torn down in 2004 to make way for a tunnel, but many Singaporeans remember the sleepy, red-bricked building fondly. 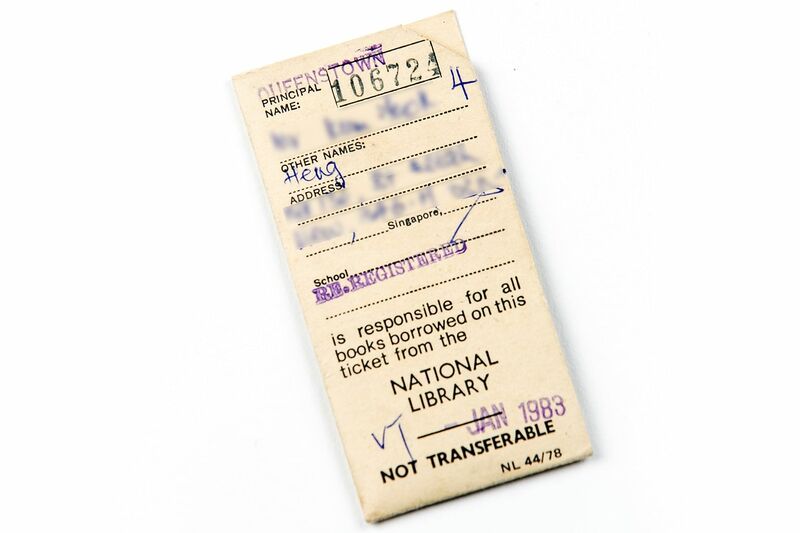 The library's old-school paraphernalia, such as this old library card, evoke a pre-digital age when books were checked out manually by librarians. Singapore's Electronic Road Pricing (ERP) system, represented here by the ERP in-vehicle unit, was the first to be implemented in the world to tackle road congestion. The installation of the unit - a gadget that automatically deducts charges from a stored-value card - began in 1997. The unit communicates with the antennae on ERP gantries for the deduction of tolls. These items are donated by fans of Singapore's national football team over the years. They range from a T-shirt to ticket stubs of the matches. The Singapore army is one of the most modern and advanced in South-east Asia. 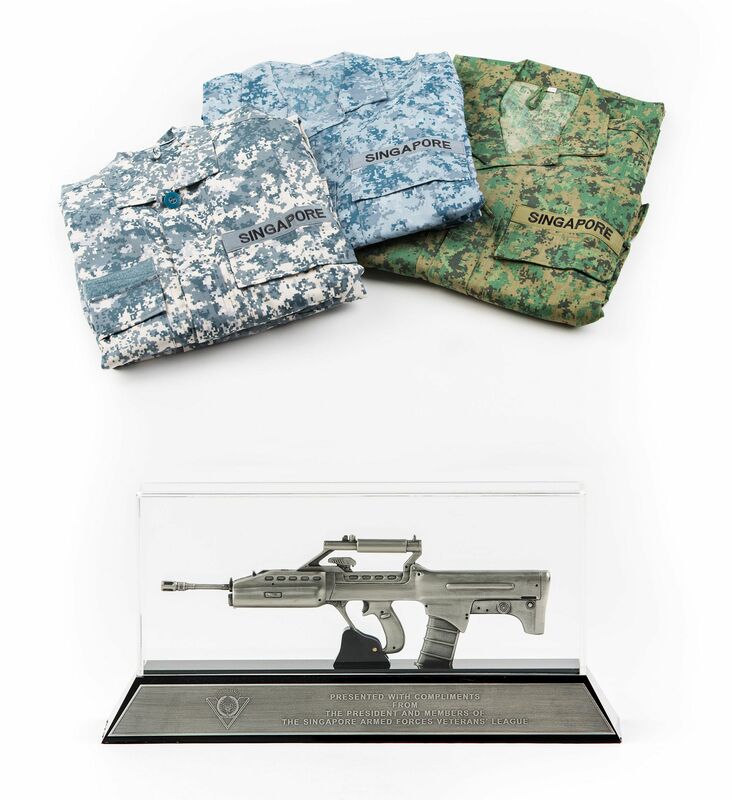 These military uniforms are digital camouflage combat uniforms of the (from left) Singapore Navy, Airforce and Army. The SAR 21, which was developed in Singapore and is used by the Singapore Armed Forces, ranks as one of the world's most advanced assault rifles. The Housing Board was set up in 1960 with the aim of producing affordable, quality public housing to a fast-growing population. Today, more than 80 per cent of Singapore's population lives in public housing built by the HDB, across 23 towns and three estates. 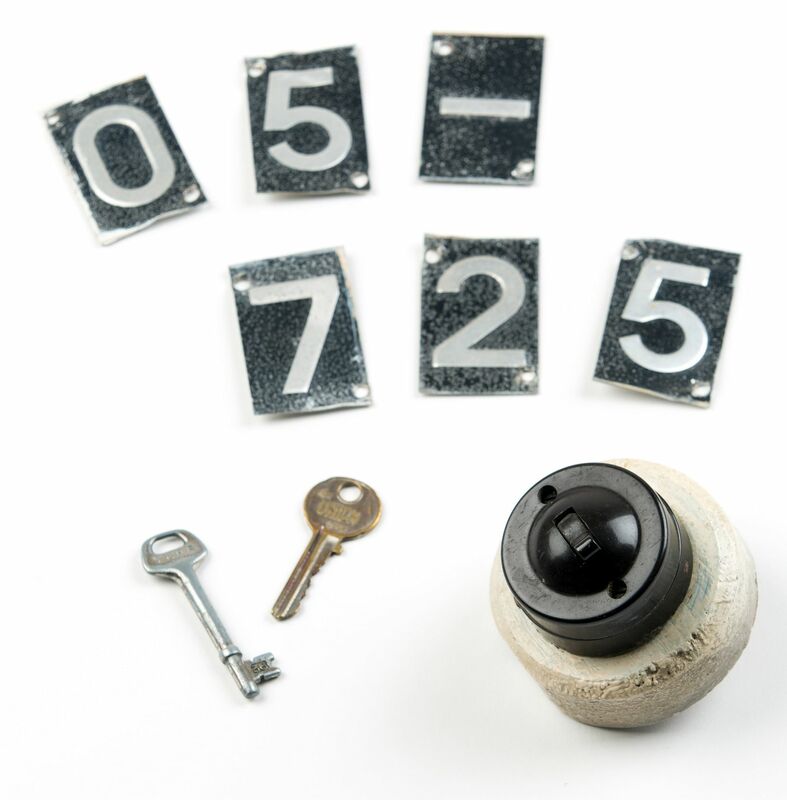 These items - house keys, flat unit number and an old light switch - will be familiar to many HDB-dwelling Singaporeans. 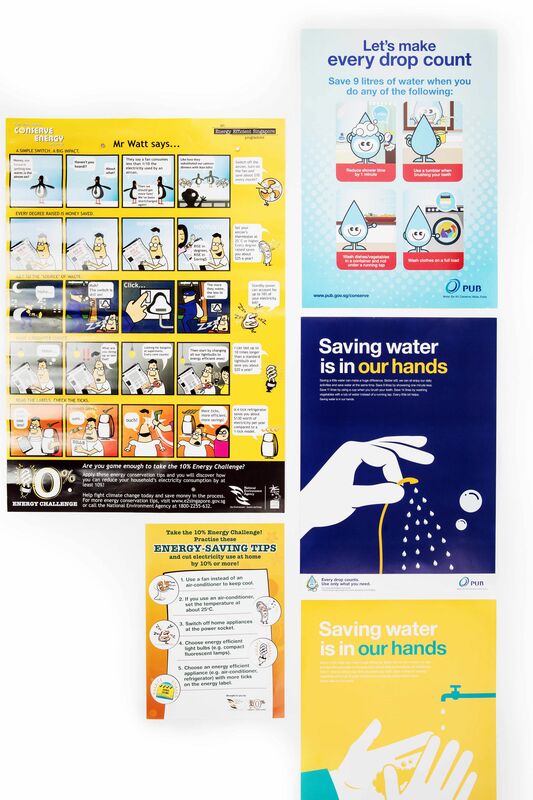 These posters encourage Singaporeans to save resources such as water and energy. Singapore's social campaigns span many areas, from health and cleanliness to family planning and environmental concerns. Over the years, the Government has urged Singaporeans to, among other things, Stop At Two (children), speak Mandarin, flush the toilet, plant trees and be more courteous. 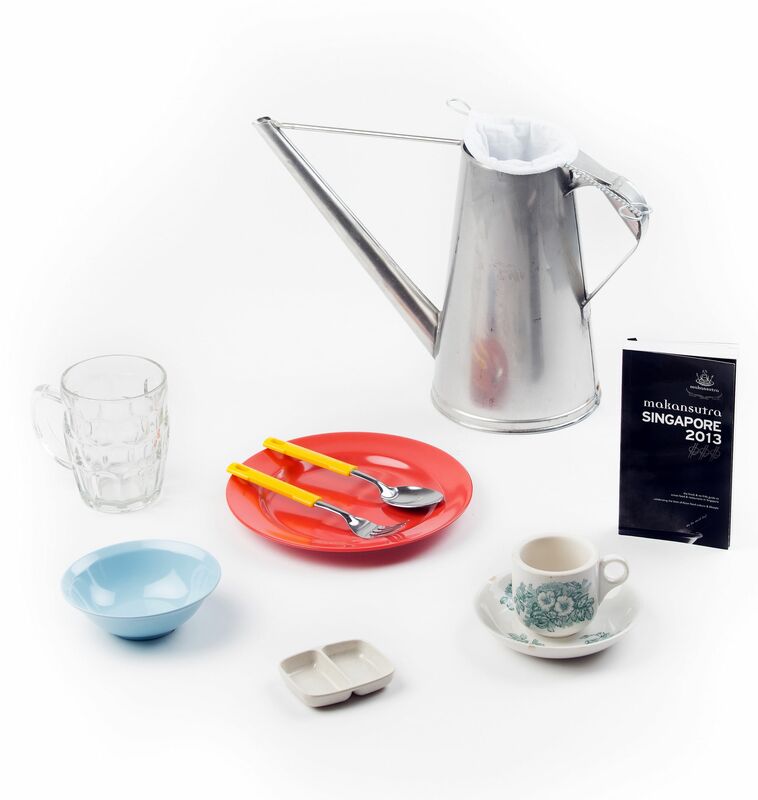 Hopefully in 50 years, Singapore will still be using, in some form, these classic bowls, cups, saucers and traditional coffee socks, all of which are integral elements of Singapore's kopitiam scene. Mobile device usage has been part of Singaporeans' lives for a few decades. The communications devices have taken different forms, such as pagers, clunky handsets and the sleek multipurpose smartphones of today - a selection of which are going into the capsule. Many local and multi-national companies have made Singapore their base for product development. 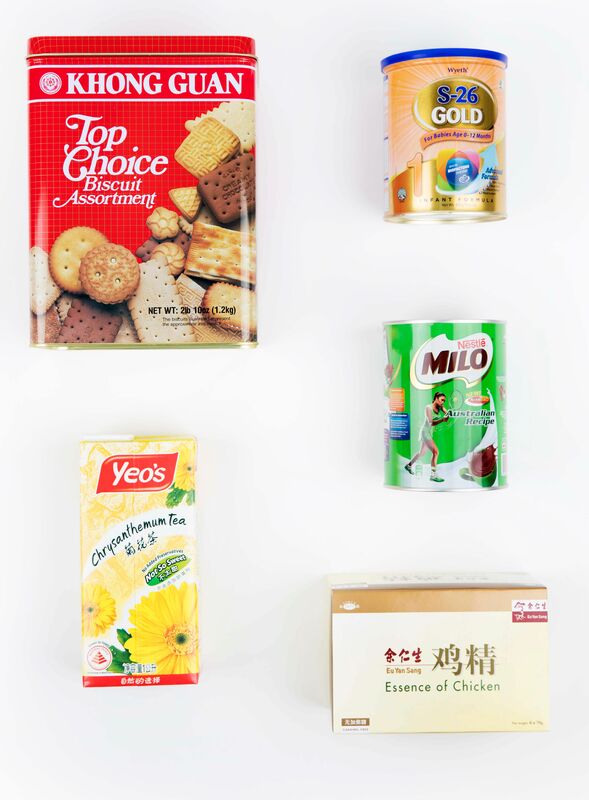 The brands include food group Nestle, pharmaceutical company Wyeth and biscuit company Khong Guan. 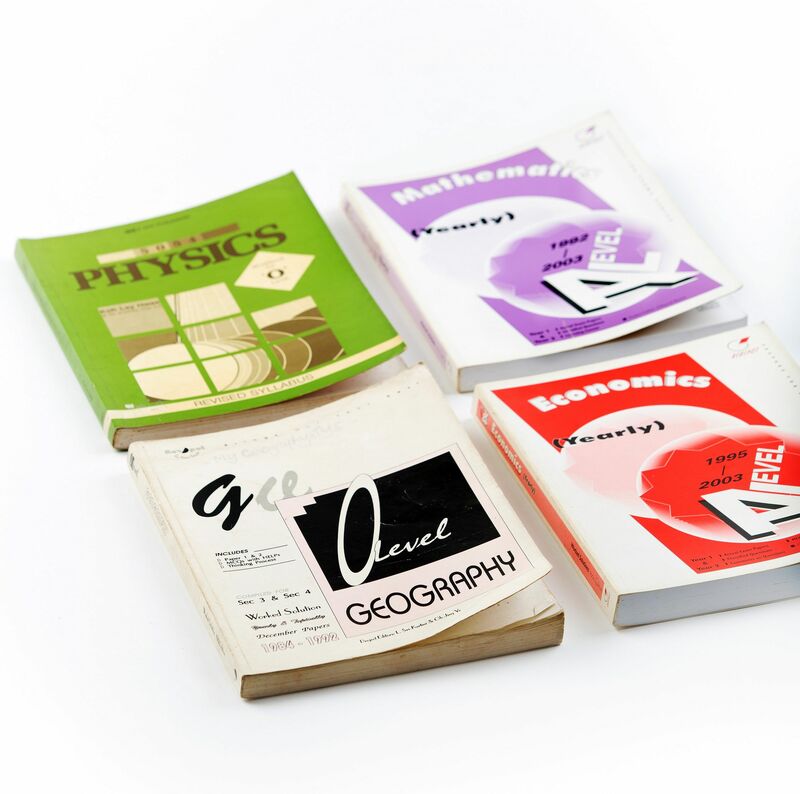 If you have been through the Singapore education system, chances are you will have bittersweet memories of these examination preparation books, which contain test papers from previous years.